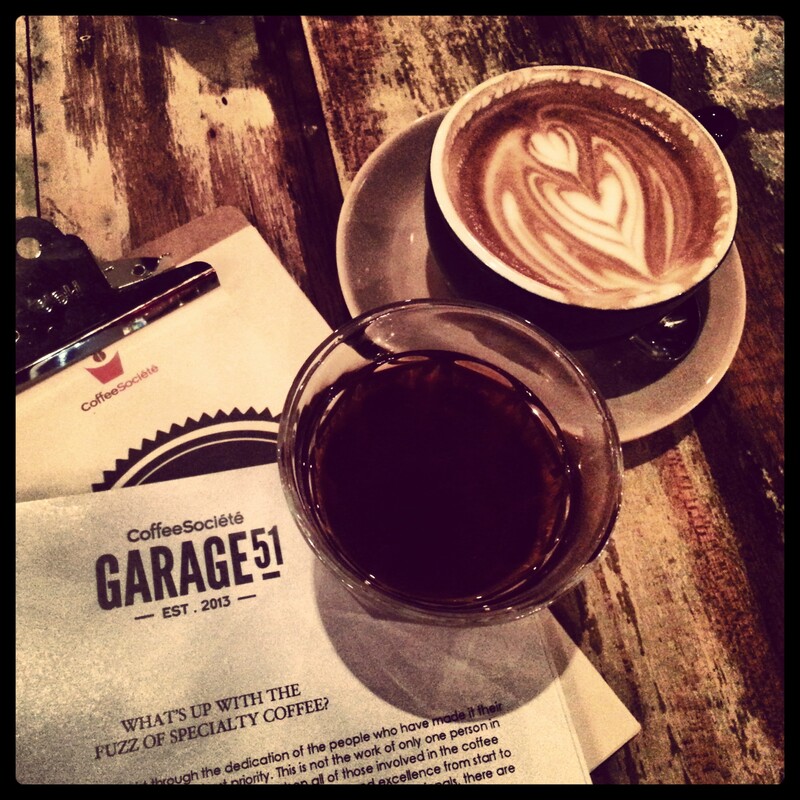 There are only so few places that I frequent and to be able to make myself comfortable, Garage51 is one of them. I bet you have seen a million pictures of the brick and mortal look of Garage51. Everyone loves the red half VW Beetle out there, the graffiti wall and that amazing loft in the cafe. So you don’t need more of those pictures in this blog. Just google Garage51 and you can find so many professional shots. But what else to show you then? I show you the love I have for this place. That is the only thing I could do for all the coffee places I admire so deeply. I did it for Pulp, and I will do it for Garage51. The truth is, Garage51 opened its door before Pulp, so technically I should have written about it before my story about Pulp, but does it matter? No. They carry the same weight in my heart, though each stirs up different emotions. It’s amazing that these two are situated at the opposite side of each other, so if I’m heading towards the South then I will head to Garage51, and if I have errands on the West, I’ll head to Pulp. Along with Whisk One-Utama, they formed a solid Bermuda Triangle to save my life (aka disappear from the world and have good coffee). I remember the first time I went to Garage51 to conduct an interview with a personality for my magazine column. We had a good chat. I thought the place was nice, but to me, nothing means a thing if your coffee is not proper. If you are a restaurant, then perhaps it is not necessary to make good coffee, but if you are a coffee place, it needs be your forte. My first drink was a long black. 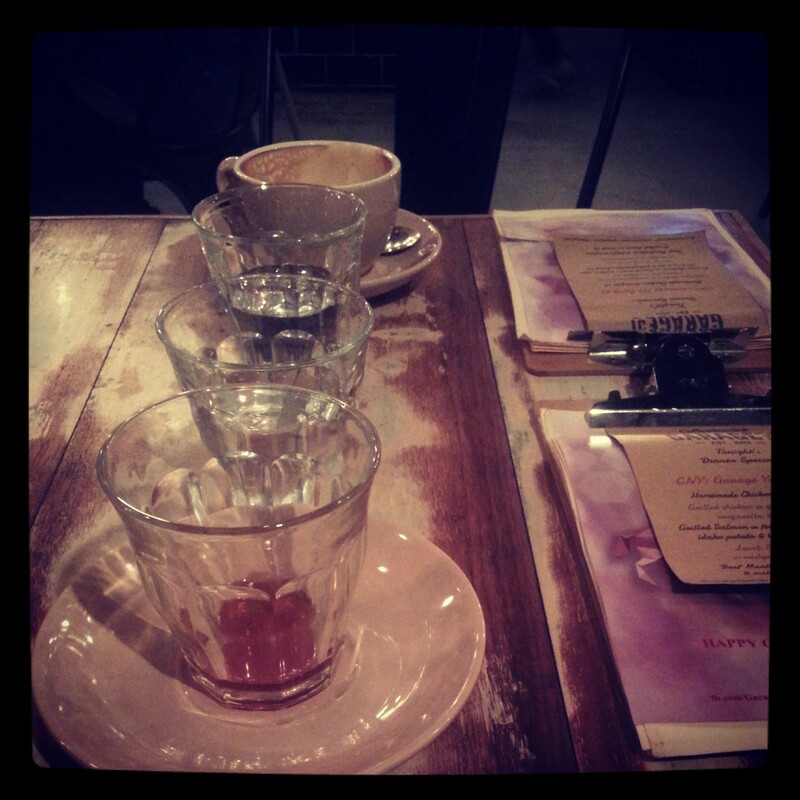 After my interviewee left, I ordered another coffee (that’s when I realised they have pour-over listed at the back). But the coffee came looking weird. It looks too run for a pour-over to me. Looks like the second run. Naturally I asked. They assured me it was not, I had no doubt because I don’t think a new cafe is so unprofessional to give you a second run on its crucial opening period, but I was concern and thus exercise my right. Then they mentioned it is done by the pour-over machine. I’ve seen the pour-over machine before, but to be honest, what is the point of that machine? Merely for freeing the barista during peak hour but still tell people you can do a pour-over? The most beautiful part of the pour-over is in the real work. The barista’s concentration and his desire to make a good cup of coffee, with his hands. Hence, hand brew. That day I left with mild disappointment. But not to a point of no return. Because everyone deserves a second chance. Plus, they were very polite and responsible towards my feedback. The following week I was there again, and ordered the same thing to be sure. (typically me) That day I had the most wonderful cup of pour-over for the week. 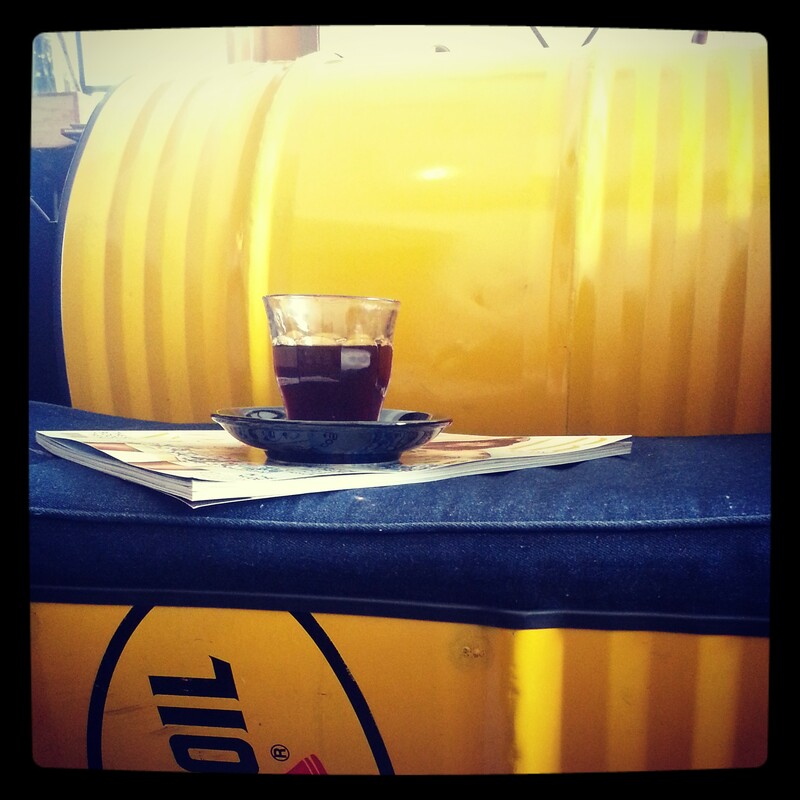 The Ethiopia Yirgacheffe Gelena Abaya was truly amazing through the right work. Flourish. Just before I leave, one of them came over to ask if it was alright, and said this was done by hands. Thereafter, I’m known as the pour-over girl at Garage51. I hardly need to order my drink now, unless I want that additional piccolo, or food. (Oh now they have 3 types of Single Origin…) I caught the guys pushing each other to do my drinks during the early days, perhaps for my fierce reputation? It really made me laugh inside. I just keep going back. Again and again. For the pour-over first, and the friendly people next. 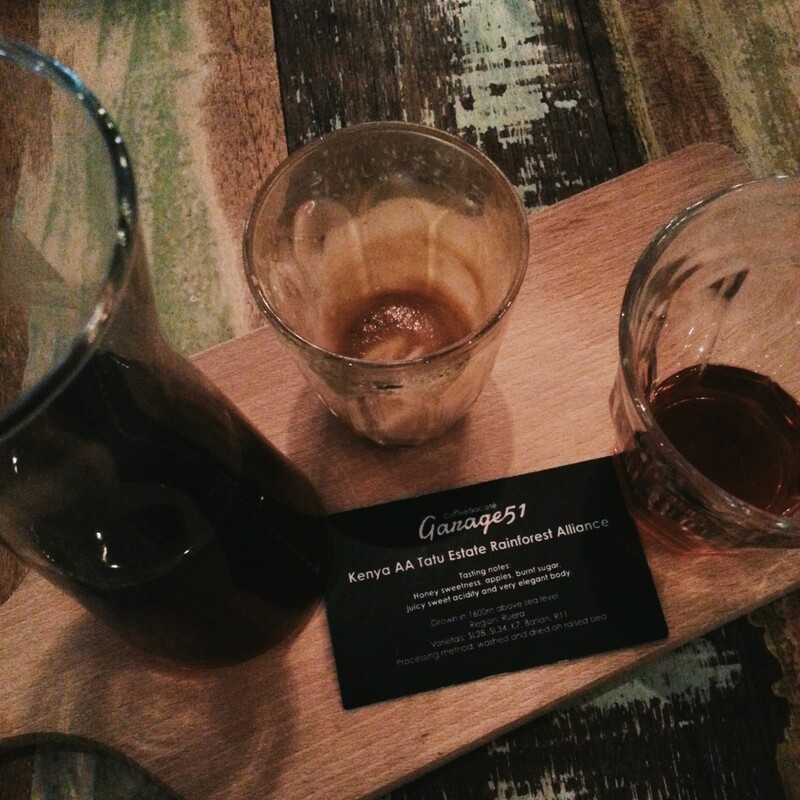 Honest to goodness, the guys at Garage51 has gotten so steady at the pour-over. They have improved so much, and I am so glad to be part of that growth. I like to support good cafes. Sometimes I got so caught up in the beauty of the drink, I realised people were staring at me. But my motto? I’m not there to be seen, I’m there for good coffee. My Mr. loves Garage51 too. We both think the flat white deserves to be in KL’s Best 3. Of course I don’t go hopping around so perhaps my judgement is bias, but that is just how it works. Lightly foamed, compact and mixed well with the espresso, the flat white is so smooth and heart warming. Check your cup next time, when you take that last sip of the coffee, you will see a thin layer of foam left at the bottom. It is tight and not watery. Such a good cup of milk based drink, but you hardly see it in KL. Now you can add good food as the reason for visiting Garage51 too. Menu changes frequently but dishes are generally good. I think the cakes are just alright. For some strange reasons, I hardly indulge in desserts at Garage51. I’m such a sweet tooth person but usually I’m contented with two cups of pour-over, or on a rainy day, a pour-over with a piccolo at Garage51. I think I am so ready to sacrifice the sweet for another good cup of coffee. Yes, contented is the right word to describe my feeling. Side note: it is also important to have the right people to work with you, if you are serious in growing your coffee business. (I couldn’t agree more with Marcus of Pulp) I think there is no coincident that all the cafes I love, are the ones with the right people working. Professionalism and good customer service are so underrated in Malaysia. It is a necessity, not an option. I remember during one of the early vIsits, Garage51 was extremely packed and they had to re-allocate us twice to accommodate a big group. Ah, I remember it well because I was tired and just wanted quiet coffee, but the chatter was so crazy and we had to move around. (I try to avoid as much to go at peak hours) The barista came over to apologies so many times, and gave us two vouchers in compensation for the inconvenience caused. The thing is, customer service is never about free stuff, but it is about how well you handle the situation. How do you turn negative emotions into positive vibes. How do you make the disappointed customer come back again so you have another chance to make it right and extend the relationship. That Piccolo is a killer. Now you know why I love Garage51? As I said before, my coffee pictures are boring. They are always black without latte art. But the most beautiful part of a good cup of coffee, is never in the frame. It is always through the nostril and the tongue, and that’s how it reaches your heart in a whole. Thank you for making good coffee. 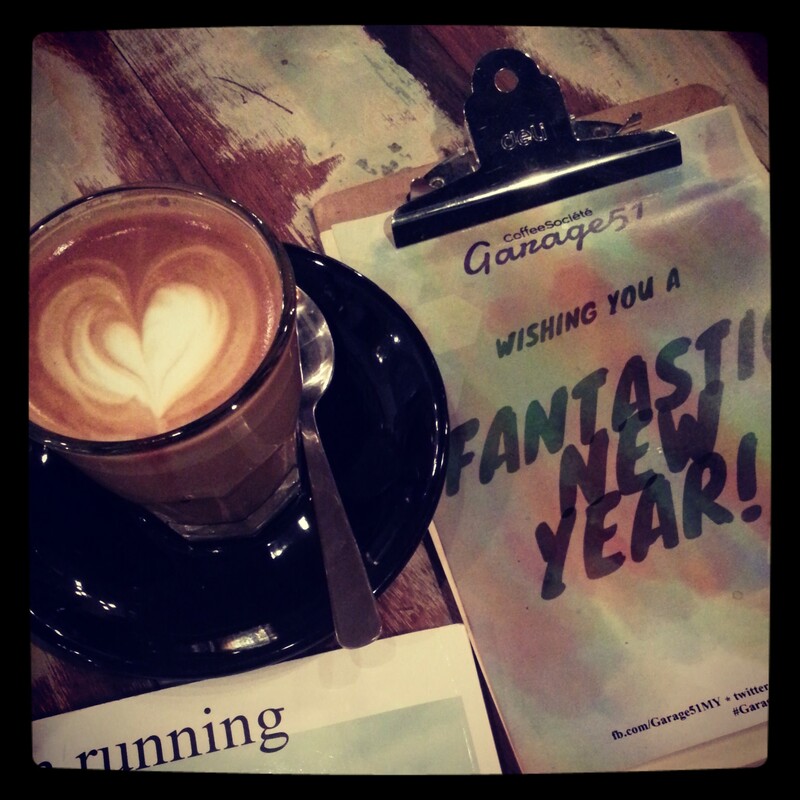 Garage51: No 51, Jalan PJS 11/9, Bandar Sunway. Daily 11am – 11pm. Closed on Monday.